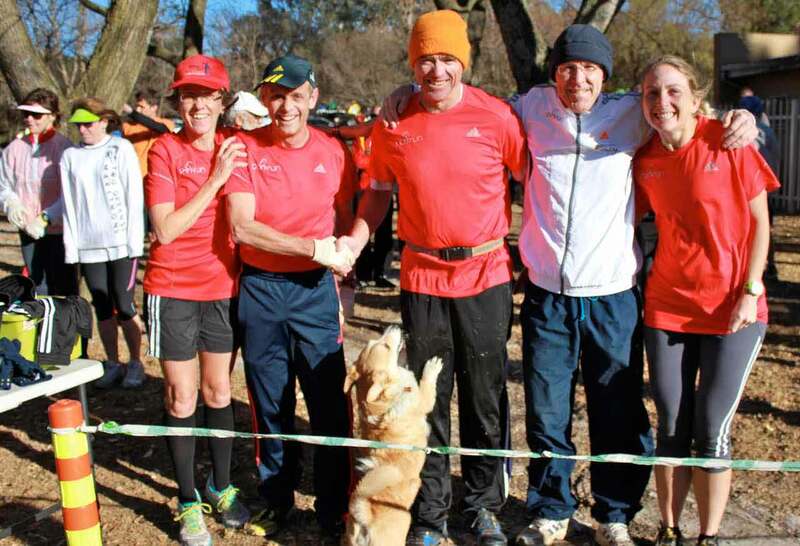 In this eddition of the SA parkrun newsletter, we read about a parkrunner’s ‘bucket list’ as well as the journey to achieving a red 50 T-shirt by an Ebotse parkrunner. Our very first parkrun in Pretoria kicks of this weekent at the Voortrekker Monument, don’t miss out! Discovery Vitality offers their health tips to parkrunners, and finally, we take a look at what has been happening at the Roodepoort and Woodlands parkruns. For this newsletter I can think of no more interesting story than this one submitted by parkrunner Michael Connolly. Please enjoy it. Nothing quite focuses the mind like an uncalled for medical emergency which in turn causes one to have a critical look at your "bucket list". That's really how it all started, in December 2010 in the Drakensberg mountains. We were having a few days R&R recovering from life as lived in Gauteng. We were four happy campers; Shireen, her mother Linda, our good friend Lyn Anderson and me, Mike the blogger. During the week I felt a bit flat and low on energy; I put it down to life and the economy and anything else that wears people out nowadays. I was also somewhat breathless, which Shireen, in her helpful way, suggested was probably indigestion. I felt it might be a hiatus hernia which had a similar effect some years previously. On returning to Johannesburg I felt it might be a good idea to have a medical check- up, starting with a visit to a specialist endocrinologist who had carried out a "procedure" on me some years previously. Don't you just love the word procedure, it's a bit like the term ' a Doctor's practice' it doesn't really adequately describe what's going on, especially when it involves a serious session of 'slice and dice'. He did a quick examination and immediately decided the problem was heart related and ushered me across the hall to a cardiologist, who after a quick physical decided I needed an angiogram. Having recovered to a certain extent, I dusted off my list and decided to 'prioritise' and start seriously working through the long list of objectives. I won't bore you with some of the other items, but number four was something which has been there for a long time and it has a strange sort of interest or fascination for me. It entails the age old custom of a pilgrimage to Compestela in Northern Spain. In the Middle-ages, if you were a sinner in order to obtain forgiveness and depending on the severity of your transgression it was necessary to undertake a penance. In those days a number of destinations were considered as suitable for pilgrimage. 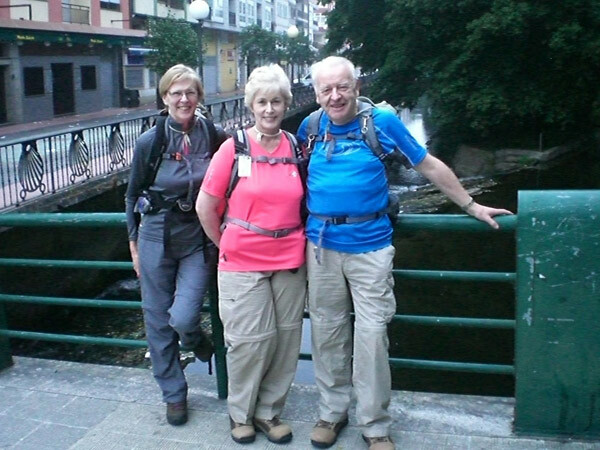 The pilgrimage to Santiago de Compostela in Galacia Spain (dedicated to St. James) has certainly been the most enduring in popularity since the Middle Ages and there are several different starting points and routes, but all have to end in Santiago de Compostela. Many years ago, I read up on these spiritual practices and was fascinated to discover that the pilgrims going to the shrine in Spain wore a scallop shell around their necks to single them out as pilgrims. have shares in the shrine. Hence the desire to see the place and discover why it should have been such a draw card for the Connolly family, whether in fact I'm descended from a long line of sinners... or if there is any connection at all. Don't you just love a good mystery? All three of us, Shireen, Lyn and myself have been part of this merry band for almost one year. Lyn is the greyhound of the three of us, while Shireen and I have succeeded in not being last all the time; there's this five year old kid and his granny we have consistently beaten to the finishing line. Phew! Well, last Saturday was our last day before the big ‘off’ so we went to Delta parkrun for our final circuit. This time we were up before our breakfast and met at seven and did one circuit before the official circuit began at eight. For the first five kilometres we went in the opposite direction to the usual route. Because we are by now so super fit, the second circuit followed the usual route and was accomplished in less than our usual time. As is our custom, we joined the ‘faithful gang’ at Doppio Zero’s for the final convivial breakfast, where we discussed our adventure and issued details of the blog-site. If truth be known, we only go to the parkrun for the breakfast afterwards! Well there you have it, the culmination of our Camino, an interesting mixture of moments filled with pain, laughter, blisters, coffee, hard and soft beds, mostly good food and an abundance of memories to be cherished and recalled later. 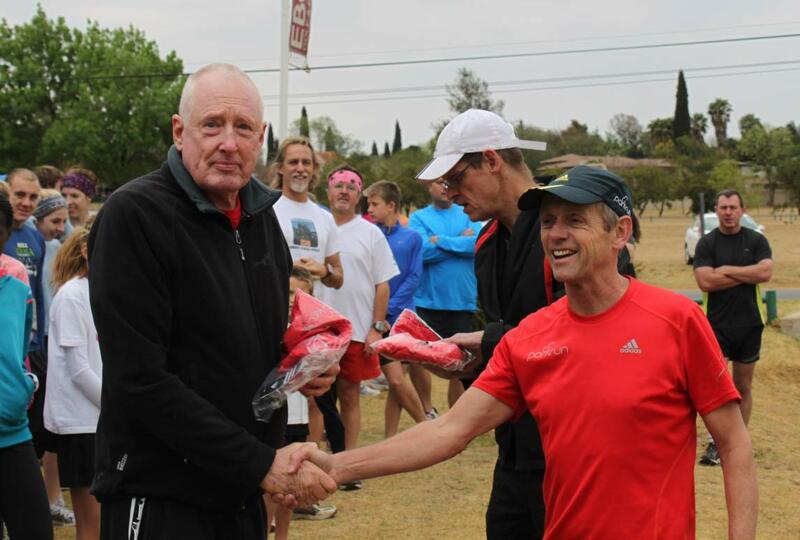 The startup of Ebotse parkrun on 16th June 2012 could not have been better for me. I had not run since 1998 when I broke my leg quite badly while hiking the Otter Trail. I had resigned myself to being a ‘walker’ even though I desperately missed the feeling of freedom one experiences when running. My daughter surprised me with an entry to the 2012 Skukuza half-marathon and informed me that I would have to do ‘some’ running because my walking pace was too slow to meet the cut-off times. I joined parkrun because I thought it would help me to speed-up my walking pace but when I finished that inaugural parkrun in 35:51, I felt like I had conquered the world! I had run all the way and so I knew if I could run 5 kms, then I was back on track to becoming a “runner” again. In the fifteen months it has taken to become a member of the 50-Club, I have improved my PB by over six and a half minutes and have experienced seven different parkruns - including one in Cambridge, England. Wherever I have run, the atmosphere has been the same; friendly and encouraging with volunteers who have been welcoming and enthusiastic. I have also run two Skukuza half marathons, the Two Oceans half marathon as well as several other races in the colours of Boksburg Athletic club. This has only happened because of the encouragement and motivation I have received from parkrun, my family and good running buddies. Week by week, come rain or shine the run goes on, even in torrential downpours which is fun and gives people like me a chance to finish first! I was also fortunate enough to win a new pair of adidas running shoes for having the most points in our first year - what a motivation to keep running. Something else I get so excited about is seeing all the youngsters out running and engaging in healthy activity – a real thrill! I am so grateful to Bruce, Gill and Iain for starting the Ebotse parkrun and now to Gary, Darryl, Martin, Ian and all the volunteers who manage our event so efficiently. Also thanks to the sponsors without whom parkrun would not be able to operate and make such a positive difference to so many people’s lives. Discovery Vitality brings you all the health tips you need to know on your parkrun journey. Make sure you have the right gear. It’s very important to get expert advice about the correct running shoes for you. This can help prevent blisters and minimize strain on your knees or hips from wearing the wrong shoes. Remember – you can get up to 25% cash back on adidas HealthyGear at adidas and Totalsports stores. First-time runners often run for longer and burn more energy than more experienced runners. Whether you’re a beginner or a running veteran, remember to drink some water or electrolyte replacement drinks at every opportunity so that you stay hydrated on your run. The fine weather in August saw a steady growth in numbers with just over 170 participants at Woodlands this past weekend. Almost a third of the weekly runners are first timers. The animals are also more active with the dassies coming out for the first time since autumn. We had many celebrations during August starting with cupcakes for the ladies on women's Day. Then Sarah Haken was the winner of the August Adventure Bootcamp giveaway, sponsored by a regular Woodlands runner, Michelle of Houghton ABC. 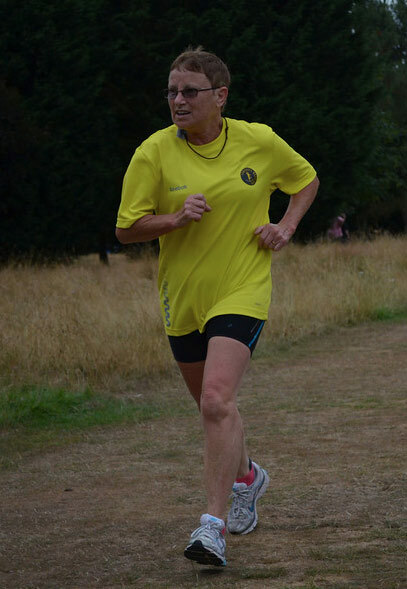 We also awarded Speedo Horn the parkrunner of the month for August. Speedo received a voucher from SBR Sport in Sunninghill. And Ben from our local coffee shop Go'Spresso has continued to hand out water to the finishers, after he has finished running his parkrun. 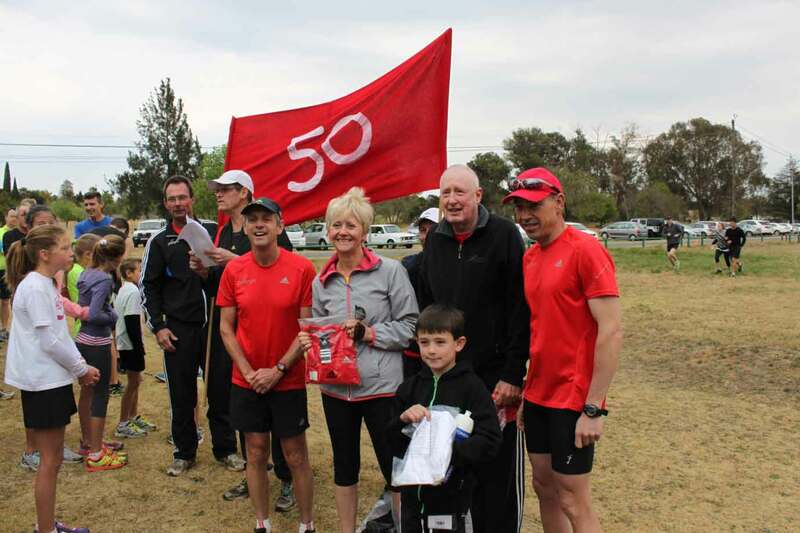 Robert Green, a regular Delta parkrunner, ran his 50th parkrun earlier in the month. We are looking forward to having a huge turnout for International parkrun day on 5 October and would love our parkrunners to share what they love about Woodlands parkrun. 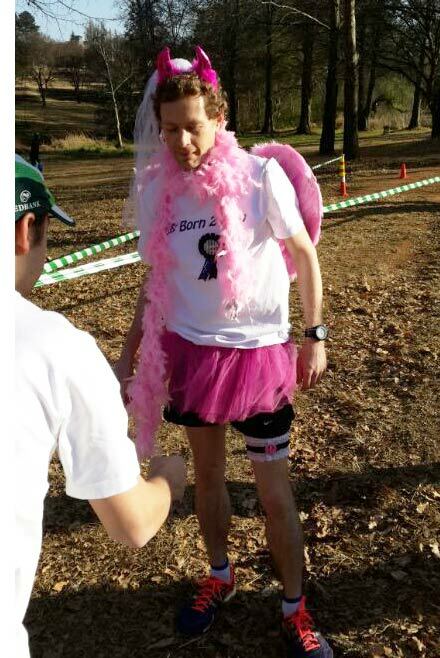 On Saturday 7th September, Roodepoort parkrunners had the opportunity to see a pretty ‘pink fairy’ prancing along the parkrun route. It was the start of a very long day for me – yes, it was my bachelors party! Shortly after arriving at parkrun I was ambushed by my best man who then dressed me up in a pink dress along with fairy wings, head gear, lace gloves and a garter. I was also handed a purse, filled with gold fairy dust and was instructed to sprinkle this on runners who made any comments, all while running the route in reverse! Never a dull moment at parkrun. We are always happy to welcome new parkrunners at our event. Over the past few weeks, we have seen a steady increase in numbers from an average of 70 finishers per event to last weekend’s 144! Well done to everyone for getting out of bed early and heading down to the park every Satruday, I am sure that you are motivated, fulfilled and ready to face the weekend after parkrun. We have experienced record attendances on a regular basis since the arrival of spring, topping out at a huge 187 runners as well as three visitors from Northern Ireland! We thank you for joining us at Ebotse parkrun and wish you great running experiences in the future! Ebotse parkrunners; I challenge each and every one of you to bring a friend, or two, to the next few parkruns. Let us set a record number of participants that will stand for some time to come. We will make all the other parkruns envious! Most memorable or funniest parkrun moment: We were too busy talking so we missed two important markers. The course director gave us merry hell. What do you like about volunteering at parkrun: As a set up team of about 6 of us we have a good laugh. It’s a good time to build friendships which I have over the year I have run there. How can we improve volunteering at parkrun: Have someone dedicated to the role of volunteer co-ordinator. There is a co-ordinator at Eastleigh and she emails us with the volunteering role. She is the only one who decides who goes where. Discovery Vitality believes that every decision that a person makes to exercise and get active is a step in the right direction, and participating in a parkrun is no exception. Living a healthy lifestyle can be rewarding, and Discovery Vitality members 18 years and older can earn 500 points for participating in a parkrun event. Visit the Discovery website for more information. In this edition of the SA parkrun newsletter, we bid fairwell to the cold winter parkruns and welcome the fresh spring air. Kidds Beach parkrun is cancelled this Saturday due to another event taking place and SA gears up for international parkrun day on 5 October! An interview, featuring our very own Bruce Fordyce, on the topic of parkrun SA, was conducted last week. Take a listen to the interview at Run Talk SA. Spring is in the air and our parkrun numbers seem to be exploding as many more newcomers decide it’s time to get fit for summer. Those of us who watch the international parkrun registration figures will have been amazed to see the South African parkruns dominating the top ten log. At times PE Hobie Beach, Modderfontein, Greenpoint , Nahoon and Delta have all stood on top of the “podium.” Of course, success in parkruns is not just about numbers but more importantly it is about the quality of experience delivered to the parkrun community. In this regard our parkruns seem to be delivering quality runs. Congratulations to all involved. Talking of numbers, it is very pleasing to see that we now have close to 20 red Club-50 T-shirt wearers and literally dozens of junior white tees in evidence at our parkruns. In a few short weeks, Tracy Rankin and Dieter Meyer should join Willem Loison as black Club-100 members. parkrun loyalty is also a remarkable feature of so many of our parkrunners, with some 50 club members having run every one of their Club-50 runs at one parkrun venue. While loyalty is very admirable, we now have 18 established parkruns countrywide and we encourage our parkrunners to experience other parkruns when they have an opportunity. After a short period of consolidation we are ready to start growing again. Standby for some interesting developments in Pretoria. Our next parkrun will be the Voortrekker Monument parkrun launching on 28 September . This is the very first Pretoria parkrun and there will be more to follow. I spent this past Saturday volunteering as a timekeeper at Delta. It was a rewarding experience. I would like to ask everyone to please volunteer 3 to 5 times a year. Volunteering only takes up an hour or so and it does help to relieve some of the pressure on the other volunteers and event directors. parkruns are only possible because of volunteers and I believe we should all spend some time giving back by volunteering at your parkrun. The 2nd international parkrun day is being held on 5 October. This event commemorates the launch of Bushy parkrun on 2 October 2004 and is now celebrated annually on the first Saturday in October. 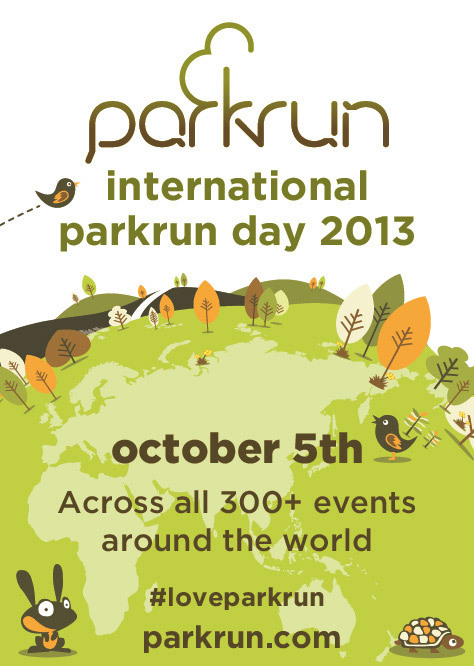 The theme for ipd2013 is #loveparkrun. What does this mean? Well we want you, the parkrunners, to tell us exactly what it is that you love about parkrun, and we want you to share it with us and the world via social media using the hashtag #loveparkrun. This will enable us to collate all of your messages from Facebook, Twitter, Instagram etc and use them to show the rest of the world just how great parkrun really is. And better still, our favourite video clips will be used to make the first global parkrun promotional film, so if you’re a budding Spielberg or Tarantino this is your chance to take centre stage! What’s next? In the week leading up to ipd2013 (starting September 30) go to your favourite social media platform and type a message, share a photo or upload a video that shows the world how much you love parkrun. Just make sure you also type #loveparkrun somewhere in your message. For example – "I #loveparkrun because it is the perfect way to start my weekend… fresh air, friends, family and 5km!" It’s a good idea to keep a log or journal of when you plan to run, for how long you run and the distance you cover. Having specific goals will help you stay on track. Use a fitness device that integrates with Vitality to track your progress and earn Vitality points for physical activity too! When it comes to nutrition, remember that drinking liquids before a race is important. What you drink depends on what you like and your needs. Choose from water, electrolyte replacement drinks, milk or other liquids during training to see what is best. The Kidds Beach parkrun is run on the outskirts of a village situated on the pristine Indian Ocean and is home to many retirees. Some know Kidds Beach as ‘King Williams Town by the Sea,’ for the simple reason that so many folk migrate from the old historical location of King Williams Town. Why all this is significant in parkrun terms is because a 14 year old lass has burst onto the scene and has shown a clean pair of heels to most. Indeed only one man has run faster than Nadia de Kock and on that particular day she was at parkrun. One year ago, Nadia’s parents left King Williams Town and settled in Kidds Beach. Nadia came to her first parkrun with her mom, Chanzelle, on 20 July and she surprised everyone, including the leading man when she came in first across the finish line with a time of 28:23. Amazingly, this was Nadia’s first ever run – she is a swimmer and a hockey player and distance running was never on the agenda. That was then and this now, for she has gone on to log four parkruns, recording PB’s and course best times at each one. 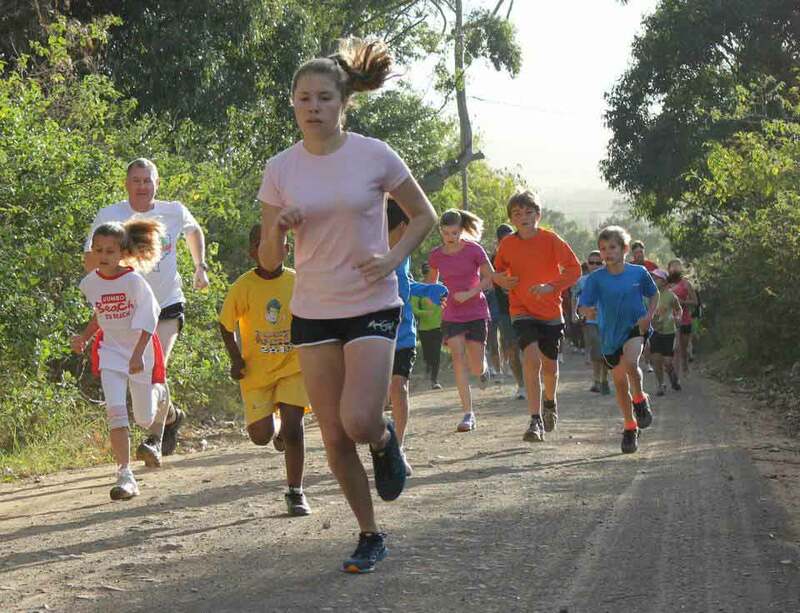 Furthermore parkrun gave Nadia the motivation to enter the Buffalo City Schools Cross Country Championships where she was placed 4th – with no formal running training at all. Next weekend, this Stirling High School pupil will participate in her first ever triathlon - and this on the back of her parkrun experience. Her immediate parkrun goal is to take 28 seconds off her time and beat the best mens time to-date. Nadia only turns 15 in March 2014, which means this parkrun “find” could entertain us all for years to come. Keep a lookout for our young talent! A record field of 122 runners completed the course at Len Rutter Park on Saturday 17 August. Together with the warmer weather, we are expecting an increase in the average number of participants. 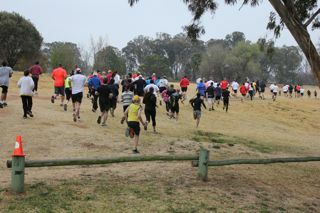 Last Saturday saw a field of 100 participants on what seemed to be the coldest parkrun of the year in Roodepoort! Nevertheless, everyone who attended brought with them the enthusiasm that is synonymous with parkrun the world over. We are appealing to all our Club-10, Club-50 and Club-100 members to wear your shirts for this Saturday’s run. 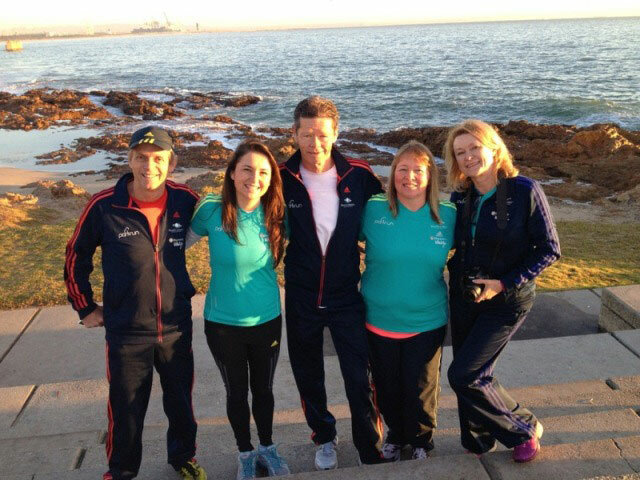 We would like to take a photo with all of you, together with Bruce Fordyce. It is always nice to showcase the achievement set by your dedication and to encourage others to work toward the very same goal. Thank you to Dunmar Security for your assistance in supervising the secure parking facility at our amazing parkrun! Your team provides an amazing service to the community. Every Saturday morning, we wake up super early with absolute excitement, hoping the weather is great, that people will pitch-up and that most of all we can get every one of our parkrunners to have a happier weekend. Let me put it into perspective - when PE Hobie Beach parkrun started, my one and only goal was that we would have just one new person at our launch day - just one unique person who I did not know at all. The day arrived and an incredible 186 friendly people joined. You can just imagine my surprise, I know our route is beautiful, but WOW! Since then, we have seen so many repeat participants and we have been top of the new registration logs worldwide each week. 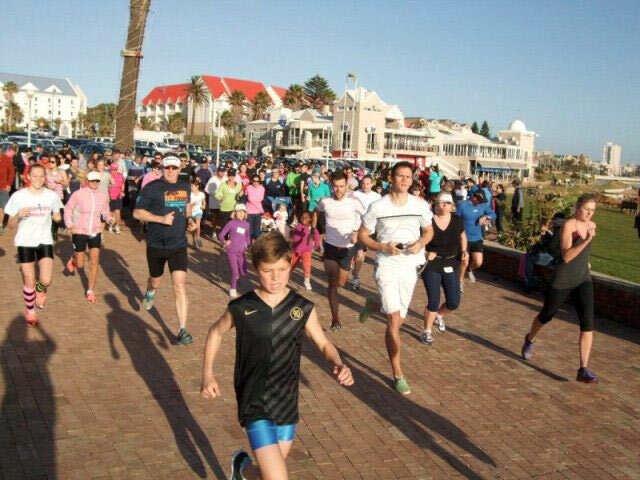 Port Elizabeth is buzzing with excitement about parkrun. There is just so much to love about PE Hobie Beach parkrun. From our beautiful Southern Right Whales who frolic in the ocean, to the sweet oyster catchers who greet us each Saturday morning. From our friendly athletes, to the inquisitive children, through to the crazy stories that we (a parkrun of only 3 weeks) have already had. From our highly effective beach office cleaning staff who promptly threw all our parkrun cones into the bin and had our volunteers digging deep to find them minutes before parkrun started - to introducing wheelchair athletes to the route. Our parkrun is growing and it is successful thanks to our enthusiastic and happy volunteers, our amazing sponsors (adidas, Blue Label Telecoms and Discovery Vitality) along with the incredible support from our RED (Regional Event Director) Bob Norris and Country Managers Bruce and Gill Fordyce. Our greatest possible inspiration, for when we wake up each Saturday morning, ready and excited to see all our parkrunners is; knowing that even with all our effort, each and every single participant also woke up early - they got out of bed, put on their running attire, came all the way to our stunning beachfront and completed a 5km course. Every participant made a difference for themselves. So no matter how far it looks, or how easy they could perceive it to be, they have lapped every single person on the couch! That is what inspires us. Kidds Beach parkrun has been a superb community success and we intend to keep on working at improving the experience. 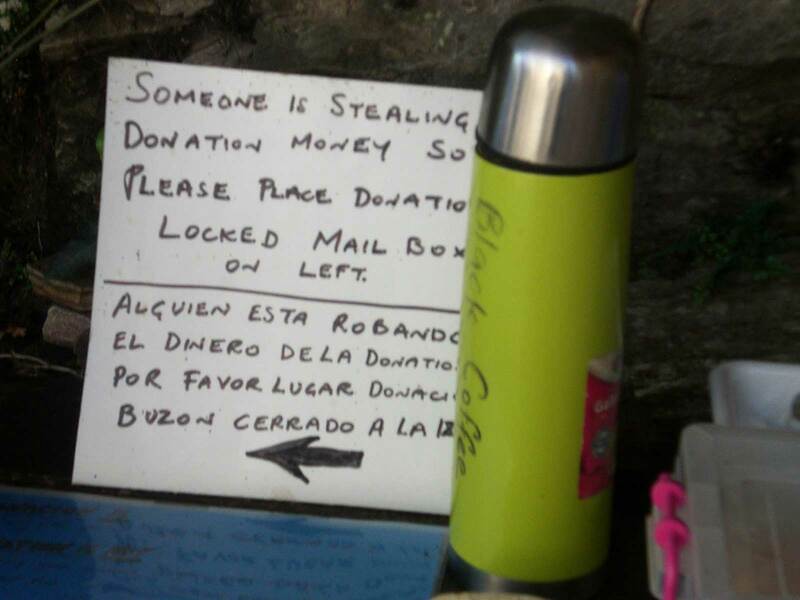 We are also well aware of our obligation to all who live in the village and surrounds as well as the need to share. On 7 September the annual Kidds Beach Enduro takes place in and around the parkrun course and although they have been most accommodating we feel that it is in the best interests of all and the safety of our parkrun community to cancel Kidds Beach parkrun on that one day. As such, we will be back at it on 14 September, when Bruce and Gill Fordyce will join us to celebrate the launch of spring in our beautiful part of the world. We apologise for any inconvenience caused and hope to see you all again!